In my opinion, I just don't like it. I don't think it tastes lovely like buttercream. Even more insulting is when you cut a cake covered in fondant, it just doesn't look as nice as buttercream. So I go for the middle ground, cakes that taste amazing frosted in Italian Cream infused Buttercream and adorned with fondant details. 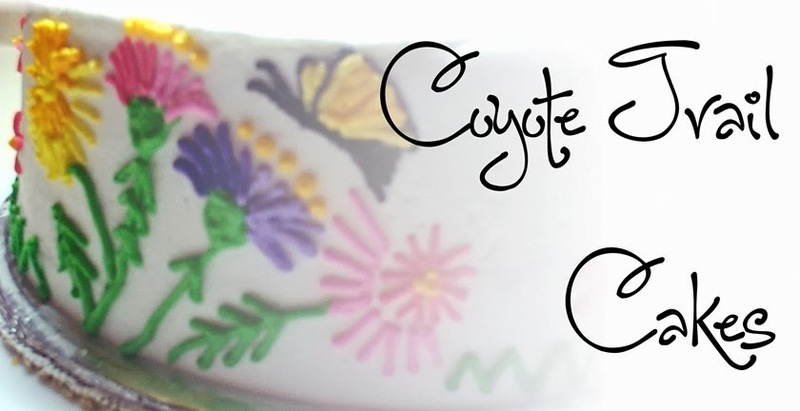 The trick is to achieve such a smooth finish on the buttercream that it looks like fondant. Let's take a closer look at what I mean. In this basketball cake, where the arrow is pointing to orange, that's buttercream. 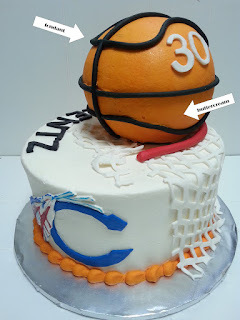 The black lines on the ball is fondant. 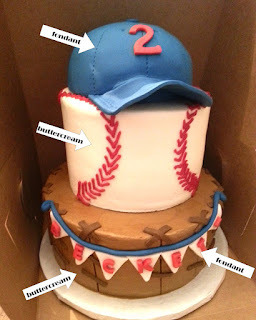 This cake has a lot of both buttercream and fondant. not so much fondant that it over powers the buttercream. I love, love, love this Cinderella cake. The pale blue section is buttercream, the bottom white with ruffles is buttercream. The wide white band, that's fondant. Stil mostly buttercream. And what would a princess cake be without a few well placed toys? The crown and the doll are toys. Real light-up toys. See, multi-media! 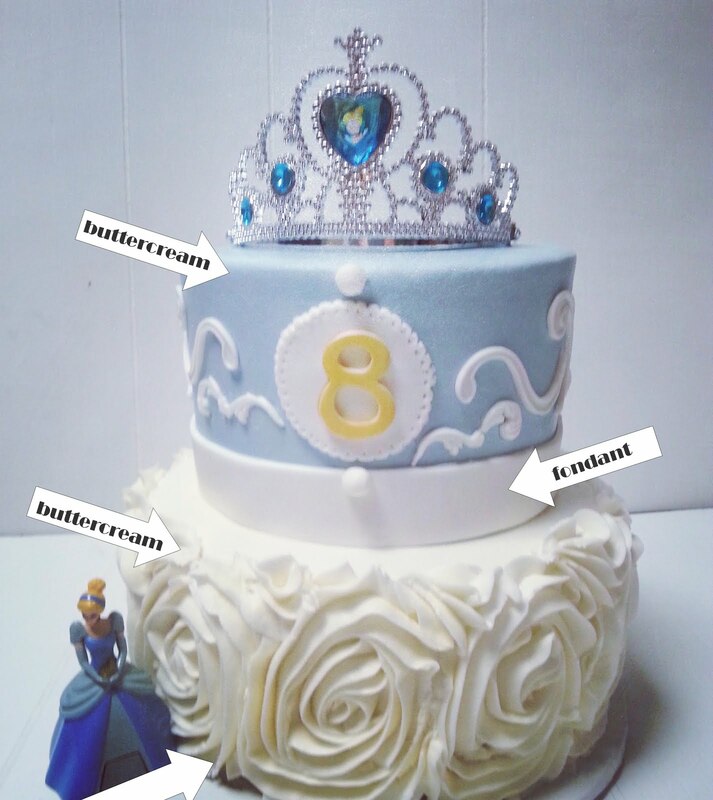 Not quite as blinged out as Cinderella, still another great example of combining buttercream and fondant. The hat is completely covered in fondant and under it, if I remember correctly, cake! The banner on the bottom is fondant along with those "x" marks. The entire rest of the cake is buttercream. "Practice and tomorrow you'll be better than today."